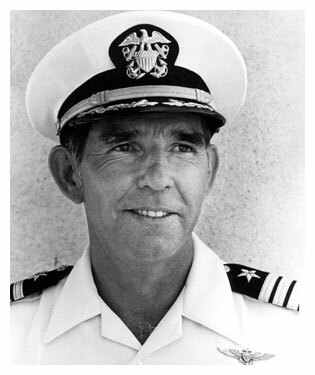 U.S. Navy (retired) Captain Gerald Coffee flew low-level reconnaissance missions over Cuba during the Cuban Missile Crisis, which provided photographic proof of Soviet nuclear-tipped missiles, turning the tide of the dangerous Soviet – U.S. standoff. 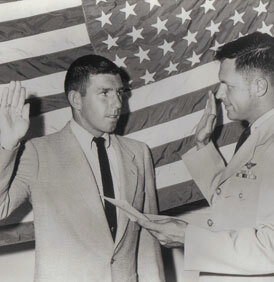 During the Vietnam War, Jerry was flying a combat mission off the USS Kittyhawk when he was shot down by North Vietnamese anti-aircraft guns. Immediately captured, he was held prisoner for over 7 years in the infamous ‘Hanoi Hilton’ communist prison where torture and solitary confinement were routine. 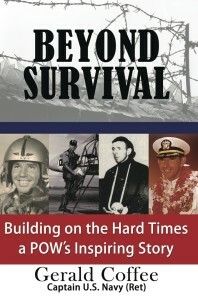 His book, Beyond Survival, describes his experiences in gritty detail and his keynote talk has inspired thousands worldwide with a message of hope, faith, courage, and honor. Jerry was born in Modesto, California on June 2, 1934 in a pre WWII America. His childhood memories are of the honor and patriotism his family and mentors displayed towards the national interest. Born to Georgette and Leonard Coffee he has one younger sister, Cheryl, 9 years his junior. 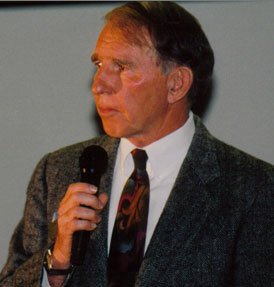 Jerry attended Modesto high school where he was a member of multiple athletic teams, and , as a senior, he was Student Body President. He attained the rank of “Star” Scout in the Boy Scouts of America, and has alway considered not accruing enough time as a Boy Scout to become an Eagle Scout-one of his few regrets in life. Jerry attended Modesto Junior College, and UCLA, achieving a degree in Advertising Art. While at UCLA Jerry was a member of Sigma Nu fraternity and the varsity the ski team. 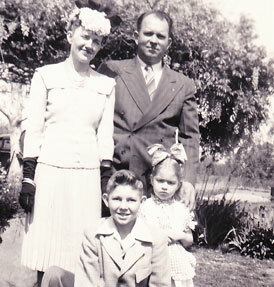 In 1957, Jerry married his high school sweetheart Bea Bispo after her graduation from San Jose State, the couple would have four children: Kimberly, Steven, David, and Jerry Jr. After his graduation he entered the Navy and began pre-flight training in Pensacola, Florida in the fall of 1957. In August 1959 Jerry received his Navy wings and began flying photo Crusaders (RF-8As) out of Cecil Field, Florida. During this time he deployed twice on the the aircraft carrier USS Saratoga, making ports of call at Barcelona, Spain; Cannes, France; Beirut, Lebanon and several Italian ports as well. He accrued over 200 carrier landings while on the Saratoga. In October of 1962 Captain Coffee, then lieutenant, received orders that he would be piloting a VFP-62 photo-reconnaissance jet on missions code named Blue Moon. The classified missions were low-level, high speed flights over Cuba that had one goal: find and document the existence of Soviet Intermediate Range Ballistic Missiles (IRBMs) targeting the cities of America. In a Cold War Era world where communism was ever encroaching, America could not allow an armed Soviet adversary so close to home. 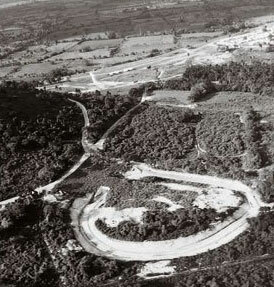 Grainy photographs from high-flying U2 aircraft had already recorded the presence of Soviet missiles in the mountainous Cuban countryside, but further proof was needed to convince the UN and the world. Coffee and his lead plane flew at incredibly low altitudes at speeds of 460 miles per hour while remaining stable to take clear photos. During one mission Captain Coffee pulled away from his preplanned route after seeing a military encampment and motor pool and took just one more strip of photos before heading back to base in Florida. These photos showed, for the first time, that Cuba had mobile, nuclear-tipped Soviet surface-to-surface missiles or FROGs (Free Rockets Over Ground), which could have decimated a conventional amphibious landing force. These photos caused the U.S. Marines to change their contingency strategy, and, quite conceivably, change the course of world history. The photos would become a key piece of evidence to end the Cuban Missile Crisis. Additionally, his photos were among those used as solid proof of Soviet strategic weapons (IRBMs) Intermediat Range Ballistic Missiles on Cuba by Adlay Stevenson, the U.S. ambassador to the United Nations. Ultimately President John F. Kennedy made a deal with Khrushchev that if the Soviet Union removed all missiles, the U.S. wouldn’t invade the island, and would also withdraw their obsolete Jupiter missiles from Turkey. Captain Coffee was deployed on the U.S.S. Kittyhawk, an aircraft carrier in the Gulf of Tonkin off the coast of North Vietnam. Coffee was piloting a modern RA-5C Vigilante on reconnaissance missions in North Vietnam. These reconnaissance missions were to keep U.S. intelligence current on North Vietnam’s anti-aircraft weapons deployment as well as “BDA” (Bomb Damage Assessment) of earlier raids. On February 3, 1966 Coffee and his navigator Lt. Robert Hanson flew an intelligence-gathering mission in a heavily defended portion of North Vietnam when they were hit by enemy anti-aircraft fire. Coffee attempted to get the plane as near to the Kittyhawk as possible but lost control of the plane due to a damaged hydraulic control system. 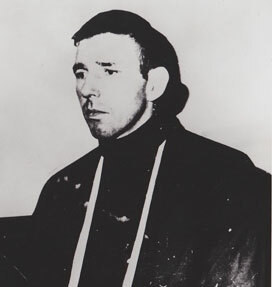 Both he and his crewman ejected from the rapidly spiraling aircraft over the gulf, just off the shore of the Nghe An Province 60 miles south of Hanoi. Both men safely ejected, though Coffee suffered a concussion, dislocated shoulder and knees, a broken forearm and many cuts and burns due to the high-speed ejection. They were almost immediately captured by the North Vietnamese. 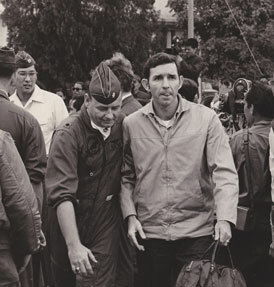 U.S. planes then strafed the North Vietnamese who had captured Coffee, not realizing Coffee and Hanson were among them. It is possible that Lt. Robert Hanson died by “friendly fire”during this attack. Over ten days of traveling, Coffee was then taken to Hoa Lo (meaning Fiery Forge in Vietnamese) prison in downtown Hanoi, North Vietnam where he would spend the next seven years alternating between Hoa Lo and other communist prison compounds. With only two inadequate meals a day then Lieutenant Commander Coffee would endure, frequent beatings, solitary confinement in tiny filthy cells, and excruciating torture using ropes during his 7 years of imprisonment. 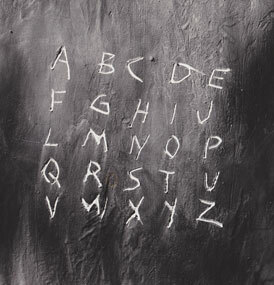 While communicating with other P.O.W.s who were kept in the prison was a punishable offense, Coffee made contact with other shot-down American airmen through an established “tap-code” or a matrix of coded letters of the alphabet through tapping combinations on the wall between cells. By using Tap Code, the P.O.W.s established for themselves a military chain of command that enabled senior officers to create a formal resistance posture to the enemy and exchange information, all through a complex communication network. Coffee was awarded the “Silver Star” medal for his persistence and creativity in facilitation of communication among P.O.W.s. Many P.O.W.s were designated as Missing in Action (MIA) by the U.S. government, leaving many families back home in limbo-in some cases, for years. And while many P.O.W.s identities would remain hidden for their entire internment, those whose capture was known by the U.S. were forced to write propaganda to their families. Coffee’s fate was not known by his family for 18 months. Those who were allowed to write would attempt desperately to get the names of their fellow prisoners into their letters through word associations to comfort their families. In early January 1973, the North Vietnamese communists finally signed the “Paris Peace accords”. After years of stalling the talks, they responded to Nixon’s B-52 bombings through December of 1970. The agreement called for the release of all American P.O.W.s. Sick and wounded first, and then in order of our “shoot-down”. Having been one of the longest held P.O.W.s, Coffee was released with the first increment of 90 P.O.W.s on February 12, 1973, seven years and nine days after his shoot down. 691 P.O.W.s were ultimately released from North Vietnam during this time. The U.S. Air Force C-141 transports flew him from Vietnam to Clark Air Force Base in the Philippines where he and the other P.O.W.s of his group underwent physical exams and intelligence debriefings. After four days Coffee was flown home to Jacksonville, Florida where his family was living. Captain Coffee started speaking in August of 1985 primarily for corporate conferences and military events. His message focuses on the invincibility of the human spirit and the importance of faith when faced with adversity. He has given the keynote address at conferences for an entire cross section of business, professional, educational and military organizations throughout America and in nine foreign countries. Over the years, he has inspired 20 consecutive Plebe Classes at the United States Naval Academy. He has been a member of the National Speakers Association for the past thirty years and holds the designations of “CSP“ (Certified Speaking Professional) and ”CPAE” (Speakers Hall of Fame). America’s top meeting planners voted Captain Coffee as one of America’s top ten speakers. The prestigious “Million Doller Round Table” (America’s top Life Insurance producers) voted Captain Coffee as one of their Top Ten Main Platform Speakers in the last twenty years.